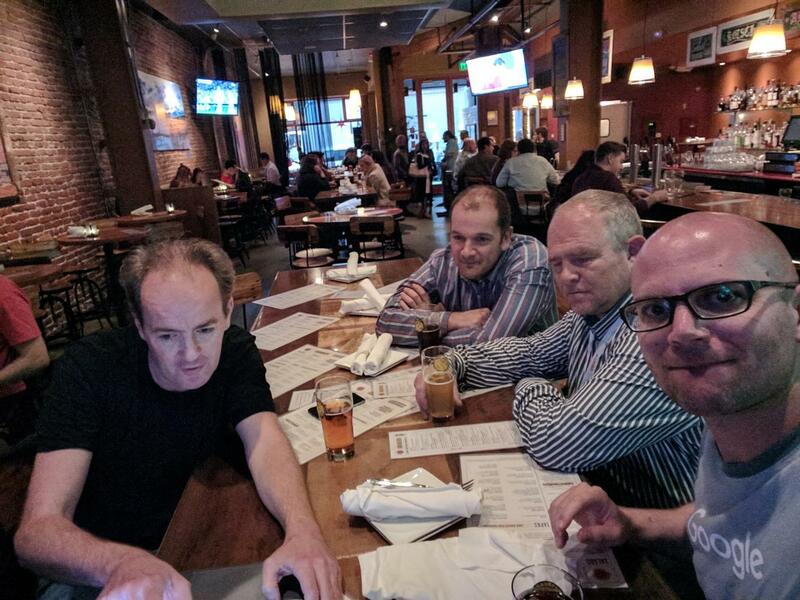 We had a sneak peak at some of the Apache Netbeans features last night with the informal Netbeans get together at the thirsty bear, when Geertjan Wielenga gave us a quick demo of (the very impressive) Oracle JET. 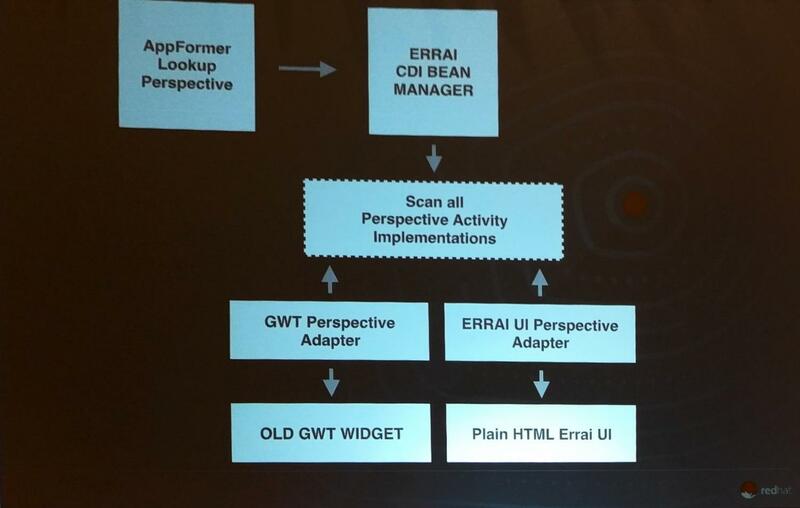 This session gave us a quick history of Netbeans, and the future plans for it. Especially now that it’s an Apache project. 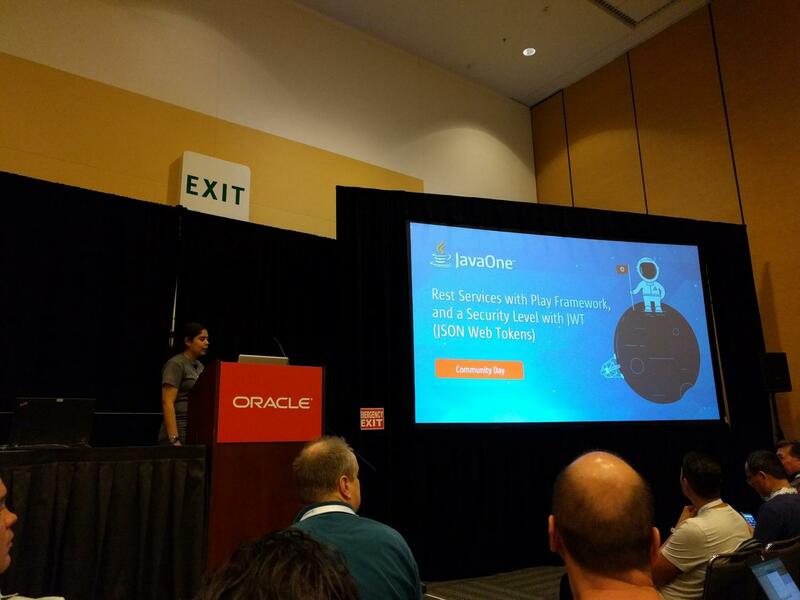 Oracle is still invested in making this a success as many of their own tools are built on Netbeans. However, other big companies (example Red Hat, Airbus, Boeing) are also building solutions on top of the Netbeans platform and can now contribute to the development and road-map. 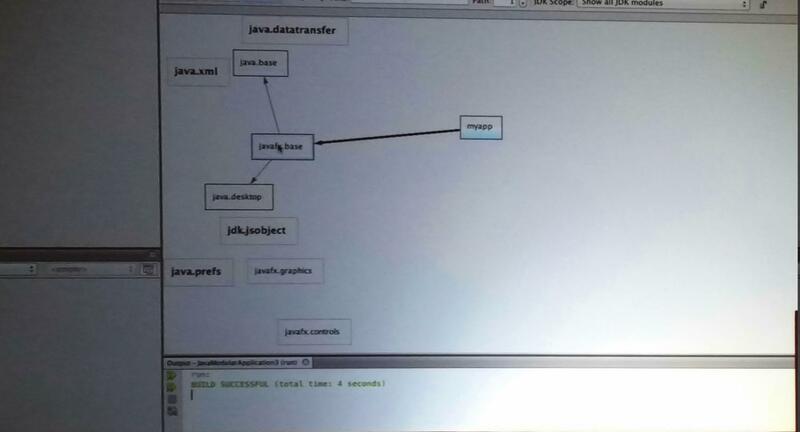 We also got shown a quick demo of Netbeans 9, running Java 9 and the tool support for Java 9 features like JShell and Modules, with a cool visual representation of the module graph. 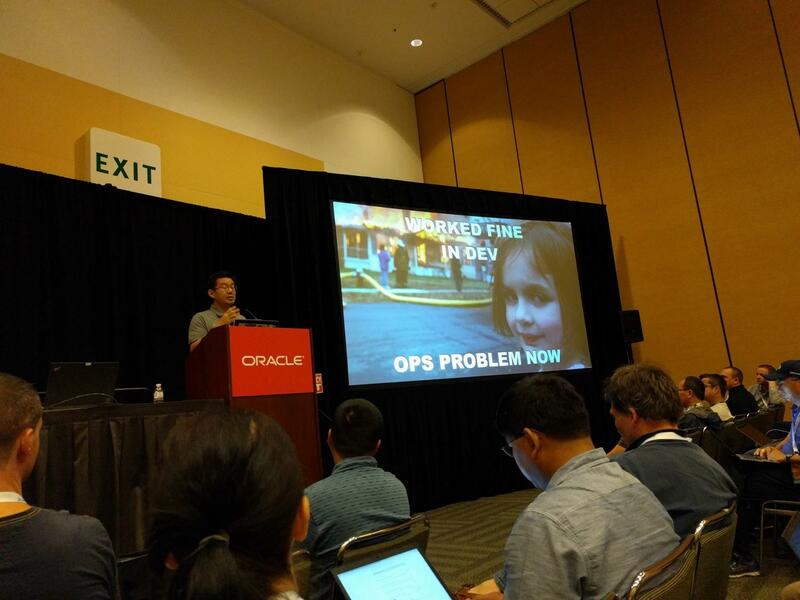 This talk by Edson Yanaga gave us some background on DevOps, and more specifically DevOps in the cloud. Cloud vendors might try and lock you in with some extra services like Pipeline automation, Blue Green Deployments etc, making the cost of change too high. “Outside innovation is always bigger than inside” and this is why Open Source is becoming the default standard for software. Containers and Container Orchestration will also soon become the de-facto standard. Kubernetes, as an example, allows you to change cloud providers in minutes. 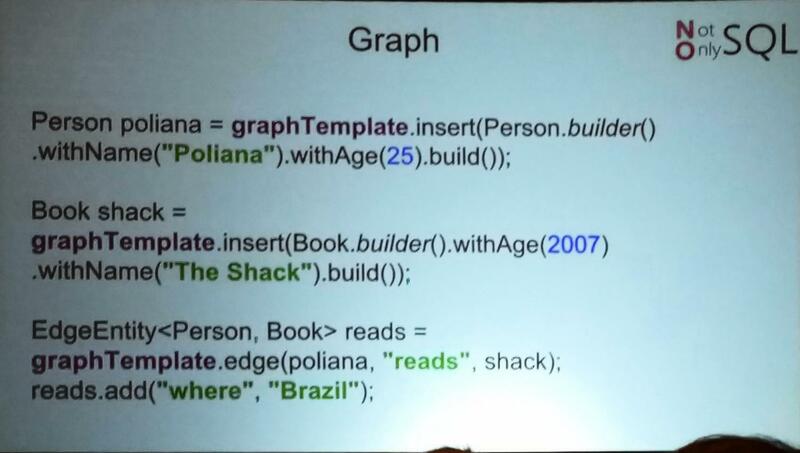 Very interesting talk on some pillars (or principles) to create a sustainable web app in Java. They also brought CDI Events to the browser, underlying using a Bus, Long polling, SSE and WebSockets. Otavio Santana and Hilmer Chona explained why recommendations are next in our web journey (Web 3.0). Context matters. 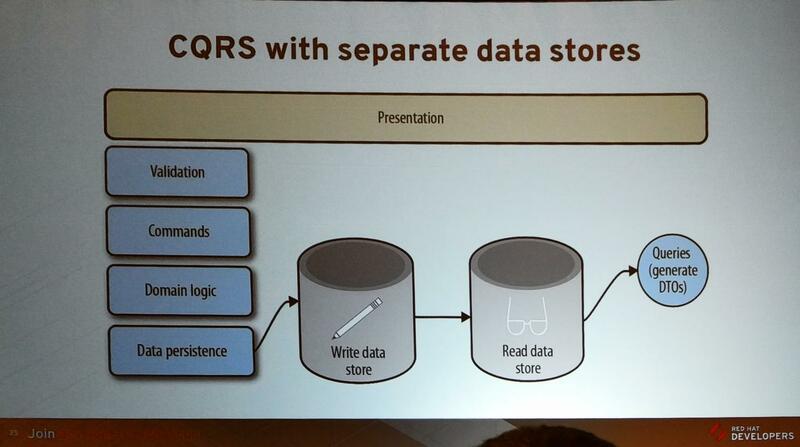 And for us to store the information in a way for us to get this context easy, traditional relational DB might not be the choice. 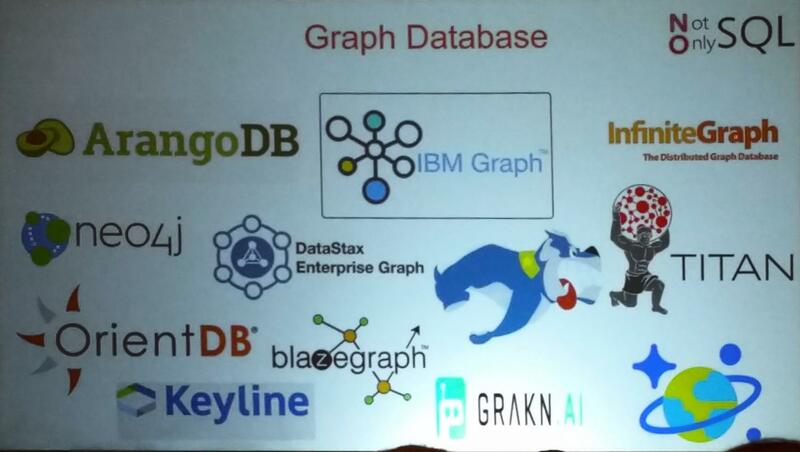 However, graph databases do not have a standard, and this means you lock yourself into the implementation, and this is where Apache TinkerPop and JNoSQL can help. Edson Yanaga and Víctor Orozco gave a high level talk on the strong eventual consistency model using CQRS and Event Sourcing. Basically this means that your data might be outdated for a moment (but never wrong). Event sourcing (or the streaming of events) is then basically the storing of changes, rather that the actual updated date. This means you can get to the current value by re-playing the changes (this might be something that you can cache, as the replay might be slow). Messages (not messaging) between services, rather than Remote calls between services. We (Multiply) need to do this for User Events and User Scores. 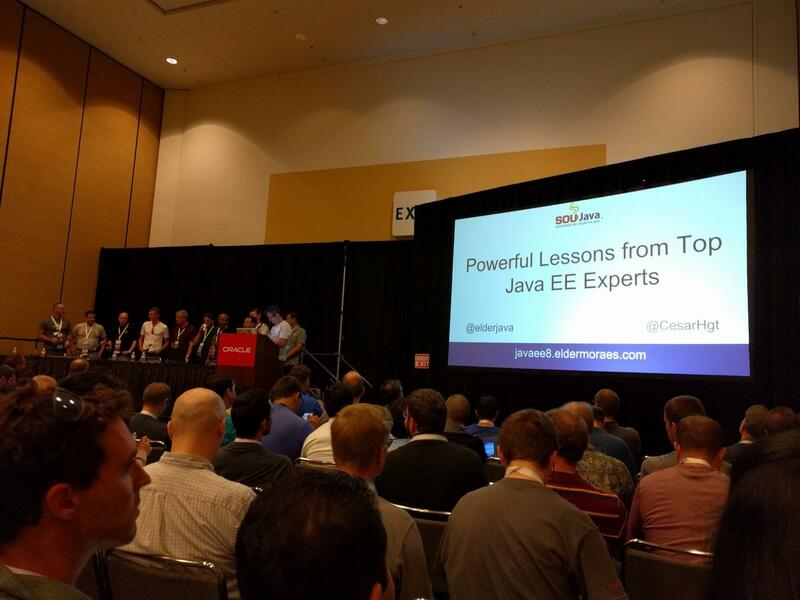 This was a discussion panel with some of the Java EE Industry experts where the audience could ask question. 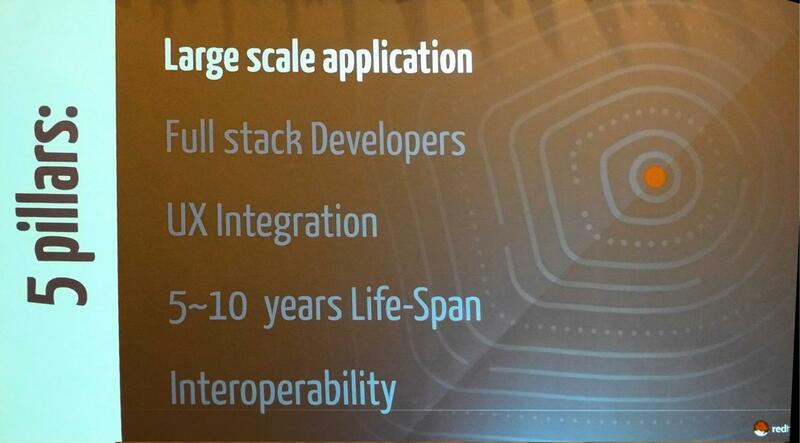 All and all, this is a long overdue positive step and I believe we will see the Java EE specs moving faster now. Mercedes Wyss showed us how you can (very easily) use the play framework (that one traditionally links to view technology) to create REST Services. The nice thing is you can choose Java or Scala when implementing this. Very interesting, and if you are already building your Web app in play it might make sense. It’s very similar to Jersey and Jersey MVC.